We're currently in the process of having an en-suite bathroom added to our main bedroom. The new bathroom is in the corner of a larger room, made up with stud walls. We require the new room's internal 4 walls, ceiling, and external 2 walls to be skimmed.. 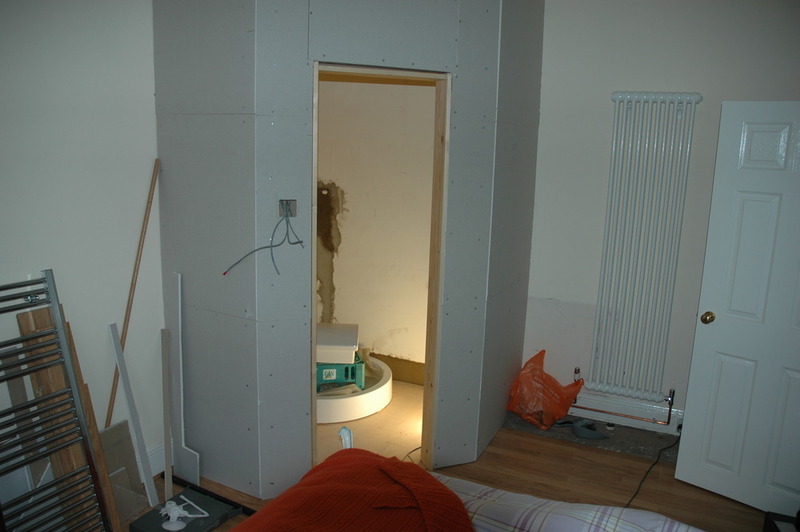 The room is approximately 1600mm x 1600mm x 2000mm, and has already been plasterboarded. We require the finish to be of a high standard! Great communication before the job and really prompt on the day. The work was done to a high standard in the time specified, and the guys made no mess whatsoever. I'd definitely recommend Chris and Tony, and will likely use their services again for future jobs!